In 2018, federal cruelty toward immigrants gained national prominence, as the Trump administration’s policy of separating children from their families was exposed. This led to an executive order rescinding family separation, although the crisis continues. Proposed alternatives such as a proposal floated to engage in the indefinite detainment of entire families in internment camps would by no means excise cruelty from the system—it would just adjust the form it takes. But current policies are less exceptional than they appear. The consistency by which migrants crossing the southern US border have been treated by federal officials as criminals or worse is of little surprise to those who have followed US-Mexican relations. 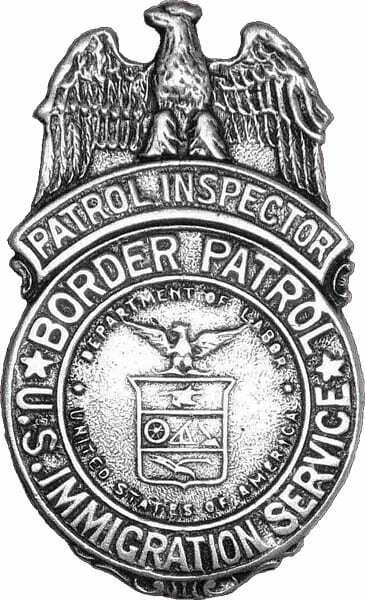 Greg Grandin, a Bancroft Prize-winning historian at New York University (NYU) and most recently author of a book titled, The End of the Myth: From the Frontier to the Border Wall in the Mind of America, says the US Border Patrol, founded in 1924, has arguably been the most “abusive branch of federal law enforcement,” even worse than the FBI under J. Edgar Hoover. The founding of the Border Patrol, Grandin notes, is rooted in the 1924 Immigration Act. “Most countries were now subject to a set quota system, with the highest numbers assigned to western Europe,” but Grandin points out that US business interests ensured that Mexico remained exempt from a quota. The Border Patrol was a concession to those who had wanted a quota. While the 1924 immigration law spared Mexico a quota, a series of secondary laws—including one that made it a crime to enter the country outside official ports of entry—gave border and customs agents on-the-spot discretion to decide who could enter the country legally. They had the power to turn what had been a routine daily or seasonal event—crossing the border to go to work—into a ritual of abuse. Hygienic inspections became more widespread and even more degrading. Migrants had their heads shaved, and they were subjected to an increasingly arbitrary set of requirements and the discretion of patrollers, including literacy tests and entrance fees. Grandin adds, “Border agents beat, shot, and hung migrants with regularity.” A brief reform effort to the border patrol occurred during the Roosevelt administration, but agriculture interests succeeded in shifting the Border Patrol agency to be under the Department of Justice, more or less vitiating the reforms that the US Department of Labor, under the leadership of Secretary Frances Perkins, had been implementing. Then, in 1965, immigration law changed again. While the law greatly liberalized immigration from previously restricted regions of Europe and Asia, it assigned quotas to Mexico and other countries in Latin America. Thousands of Mexican seasonal farmworkers who had been routinely migrating on an annual basis to the US suddenly became “illegal” in the eyes of US policy—and this opened the door to increased Border Patrol abuses.